Guayabilla is probably a native of Colombia region of the Northern South America. It has been introduced to Brazil and other tropical parts of South America. However, it does not seem to have reached other parts of the world. tropical regions. 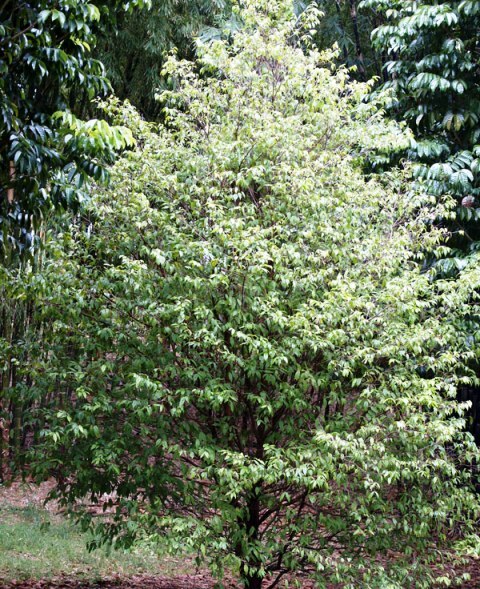 Guayabilla is a shrub or small tree, less than 3 m tall. 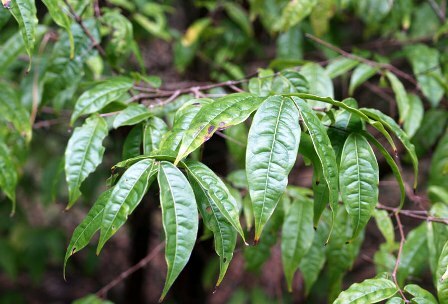 Leaves are elliptical, opposite, 2.5 cm x 12.5 cm with sunken veins. Flowers are perfect, small, white, and borne singly or in axillary or terminal clusters of two or three. 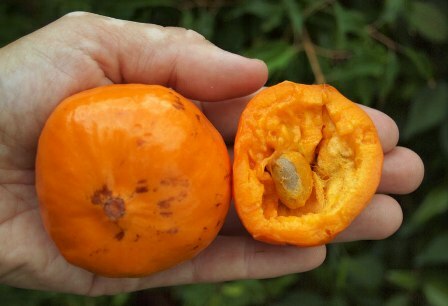 Fruits are large, spheroid to oblate, 7 – 10 cm wide, with a thin, shiny orange skin. The pulp is bright orange, sour and very aromatic. There are 2 to 4 seeds per fruit. Guayabilla fruits are very sour but have a fine passion fruit like aroma. Therefore, these make a very delicious juice. The fruits are deseeded and frozen. These are then blended with water and sweetener for juice which is very aromatic, bright orange, tasting like passion fruit juice. Guayabilla fruits are also used to flavor liquor in Colombia. The fruits are also a good source of vitamin C containing double the amount of the average orange. Guayabilla is grown from seed which take about a month to germinate. Trees grow well in acid soil and prefer moisture and high organic matter content. 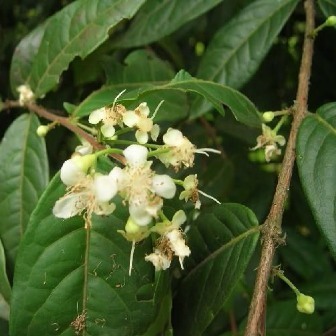 Flowering and fruiting occurs in 3 to 4 years. Fruits ripen throughout the summer, from May through October. No pruning or any other special technique is required to grow this fruit. Guayabilla will even fruit in a pot indoors.